This form is for New Students. For Returning Students please use this form. We are currently accepting applications for the 2018-19 school year. Please fill out ALL fields of this form. 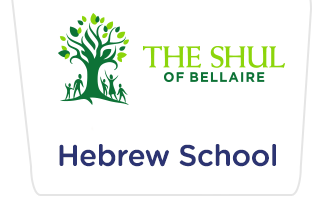 You can register online and mail your check: Please print this form and include it with your check payable to: The Shul of Bellaire. If you have any questions or concerns you'd like to discuss, please contact us. Please note that one registration form per child is required. What are the first 5 things that come to your mind when you think of "Judaism"
What makes you proudest about being Jewish? Is there any other information you would like to share about your family? How can we best support you in being part of your child's Hebrew School Education? Does your child have any particular hobbies or passions? Has your child had any behavioral or developmental difficulties or challenges in his/her regular school day? Is there any other information you would like to share/ have us know about your child? CONFIDENTIAL : Does your child have any allergies or other medical condition we should be aware of? If yes, please describe them and indicate special precautions or care needed. As the parent(s) or legal guardian of the above child, I/we authorize any adult acting on behalf of 'The Shul of Bellaire' to hospitalize or secure treatment for my child, I further agree to pay all charges for that care and/or treatment. It is understood that if time and circumstances reasonably permit, 'The Shul of Bellaire' personnel will try, but are not required, to communicate with me prior to such treatment. I hereby give permission for my child to participate in all school activities, join in class and school trips on and beyond school properties and allow my child to be photographed while participating in 'Hebrew School' activities and that these pictures may be used for marketing purposes. • Tuition for the 2018/19 school year is $795 per Child. Monthly credit-card payment plan or post-dated checks are accepted and must be submitted before the first day of Hebrew School. Thank you! I will pay by check (full amount or up to three post-dated checks of $265.00).